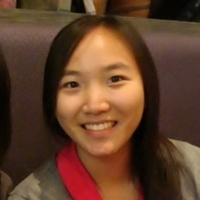 Maria Chang has been involved with InnoWorks since her freshman year at the University of Maryland, College Park. She has served as mentor, staff, Curriculum Development Officer, Co-Director, and Senior Advisor for the UMCP Chapter of InnoWorks. She graduated in May 2011 with a B.S. in Civil and Environmental Engineering, and a Minor in Astronomy. Maria greatly enjoyed her experience with InnoWorks while in her college years, and as Chief Operating Officer, she can't wait to continue striving towards achieving the InnoWorks mission! She is currently working full time as a consultant with Citrix Systems Inc., and in her free time enjoys singing, traveling, and learning new things (like yoga, rock climbing, and parkour)!"